In celebration of the launch of Dark Tide in the US and Canada this week, I thought you might all like to see some pictures of the setting for the book. 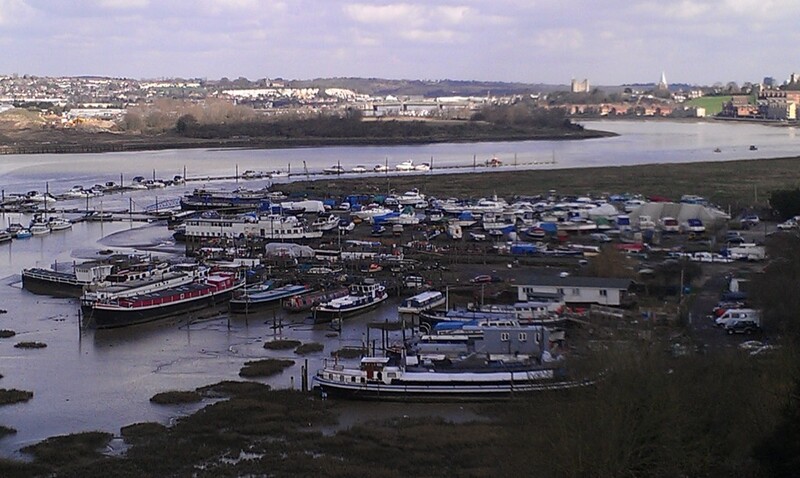 This picture was taken from the Medway Bridge (more pictures of that in a minute) In the foreground is the non-residential marina which is the main setting for the story. Sorry for the quality of the picture – I’d taken my camera, it managed three pictures and then the battery died – so I had to resort to my phone. 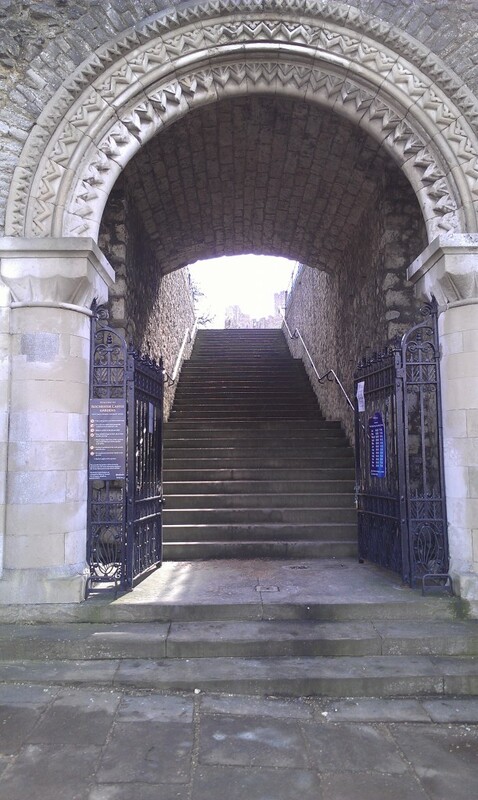 In the distance of the picture above, you can see Rochester Castle and to the right of it the spire of Rochester Cathedral. 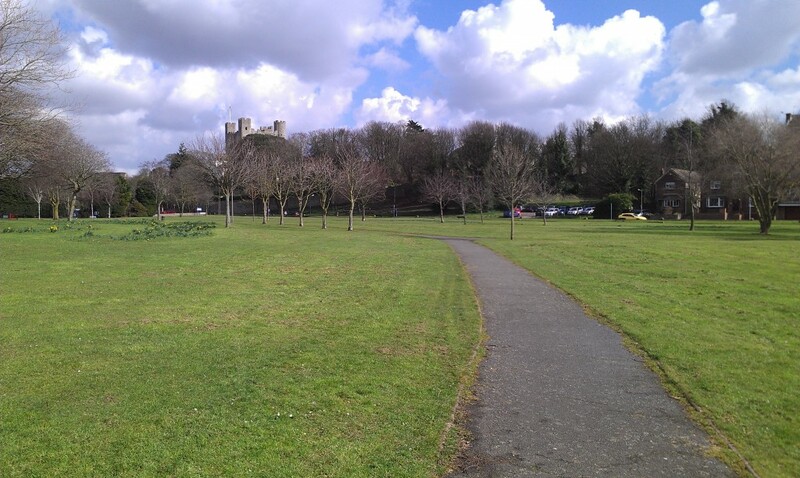 Here’s a picture of the park on the Esplanade. Dylan phones Genevieve while she is here on her bike, towards the end of the novel: his white van is parked right about where that yellow car is. 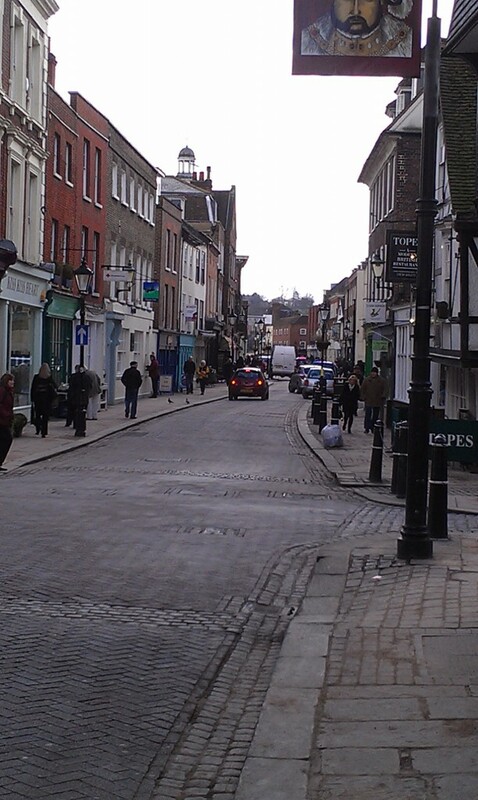 And on to Rochester High Street… when I took my pictures this morning it must have been one of the few days of the year when they don’t have bunting strung across the street in celebration of some festival or other. There’s always something going on there. 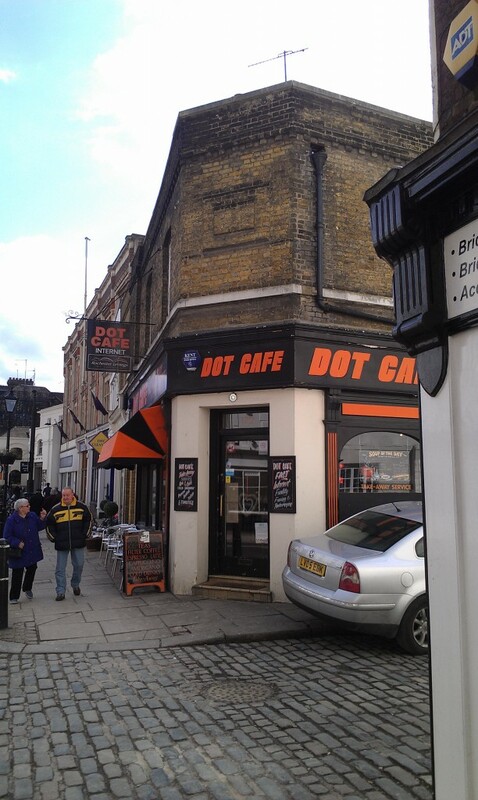 And the Dot Cafe – that’s real, too. Genevieve sits outside and has a latte and a bacon sandwich. I’ll stop there I think – I have plenty more pictures to share but I will save those for tomorrow. On another note – does anyone have a photo request? Either in relation to the settings for Dark Tide, or anything else! Let me know and I will see what I can do. 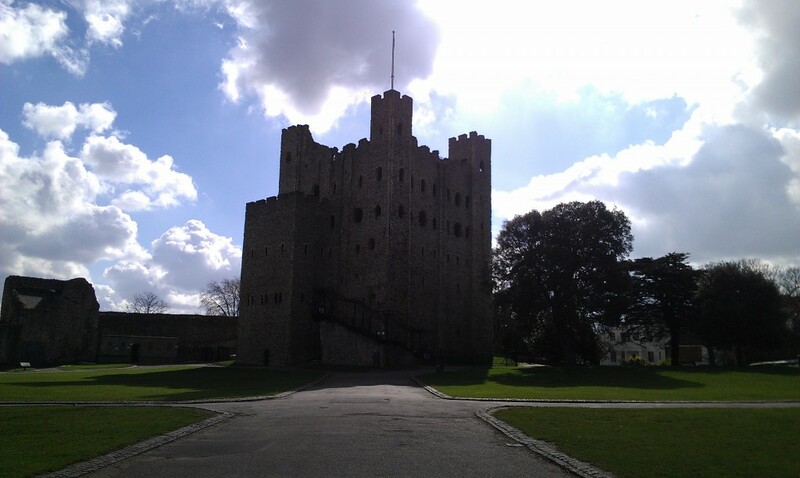 You’re right about Rochester High Street. It seems strange not to see it dotted with people dressed in Victorian garb, as when I last visited it was for the Dickensian Christmas Fair. Wow, just stumbled across the photos while looking up other titles by Elizabeth Haynes as I just couldnt put down either titles (Into the Darkest Corner and Revenge of the Tide) and still keep thinking about poor Catherine and what she had to endure. They were both totally addictive and took me into a world of escapism so I was searching for another title to get stuck in to. The photos are exactly how I imagined the scenes to be by the detailed descriptions in the book. Its great to see the actual marina and when I look at the photo, the story floods back and I want to read it again for the pure thrill and the different and exciting world it took me to!! lol, so, do keep writing Elizabeth and particularly love your books for the focus on relationships and the dynamics between different characters! Many thanks and just going to order Human Remains for my Kindle! Bit distraught to see there are no more after this though!! I’ve just finished Dark Tide and this is exactly what I imagined it like! Please say your doing a sequel I need to know if Geniveve and Dylan live happily ever after! WOW. I live on a boat at Cuxton Marina and knew straight away the story was set on Medway Bridge Marina. All my local haunts are in the book!